The team-up to end all team-ups is here, as two of the most different Marvel characters worlds collide! 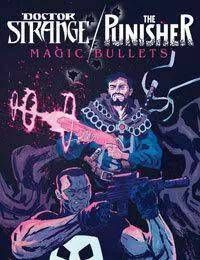 What new mafia threat is so great that the Punisher needs Doctor Stranges help? Find out as the Sorcerer Supreme teams with the One Man War on Crime!